Anyone happen to own SRV-1 'The Cricket'? Some time ago, last year, about spring? 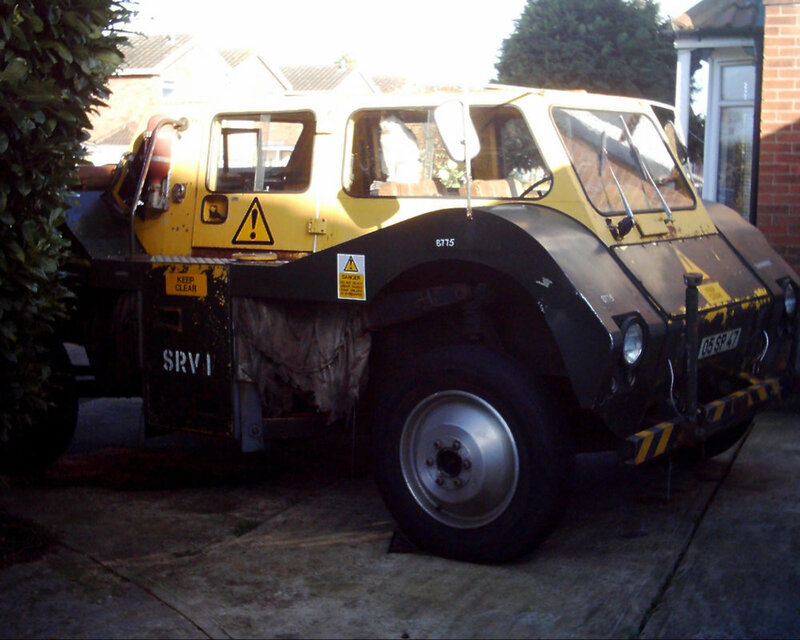 a strange vehicle appeared at a nearby workshop to have its Rolls Royce engine removed by a Roller mechanic / restorer. 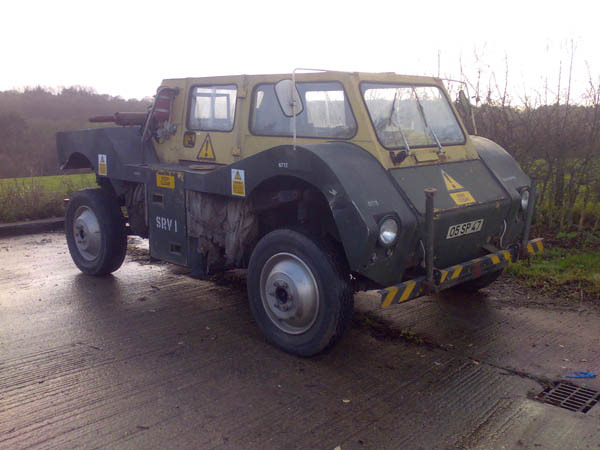 The vehicle then became surplus to his requirements and was sold. I almost bought it. 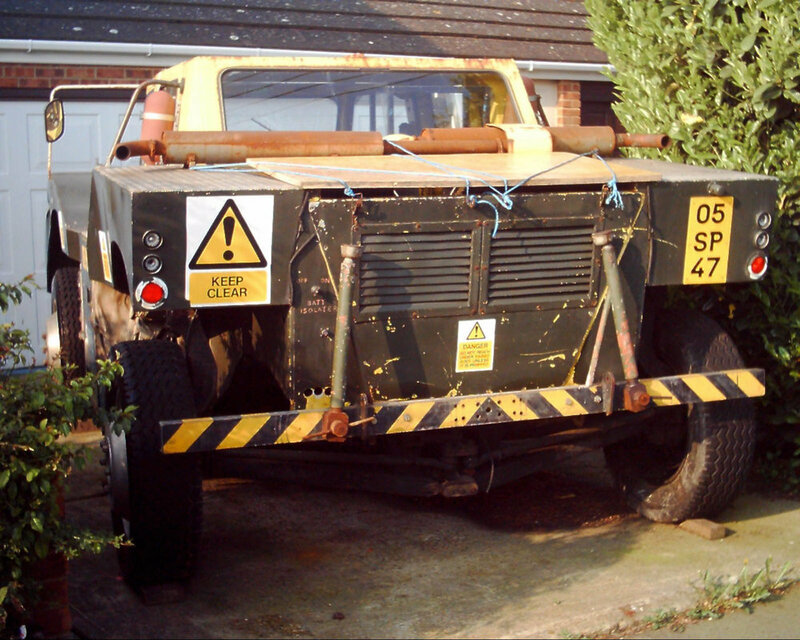 It came from an MV collectors yard in Wiltshire and was a suspension research vehicle and had hydraulic suspension arms that ran from the centre of the vehicle, fore and aft and lifted the vehicle up when so desired. It looked rather 'Alvis' and had a fair few land rover parts on it. The engine was rear mounted and its gearbox assembly was somewhat haphazard. I know the guy that does the rollers and it did sell... can't remember where it went though. Went for about £650 if i remember rightly. Not the kind of vehicle i would feel very comfortable in whilst doing a fair clip with that roller lump. The kind of vehicle Noddy would invent! It came up on e bay two or three times , at one stage it was somewhere in the Maldon area not too far from me but I don't know what finally happened to it . It was a platform to develop new techniques if I remember right, and may have been something that came from DERA or whatever they were called at the time, at Chertsey. Do recollect seeing pics of it on the web. 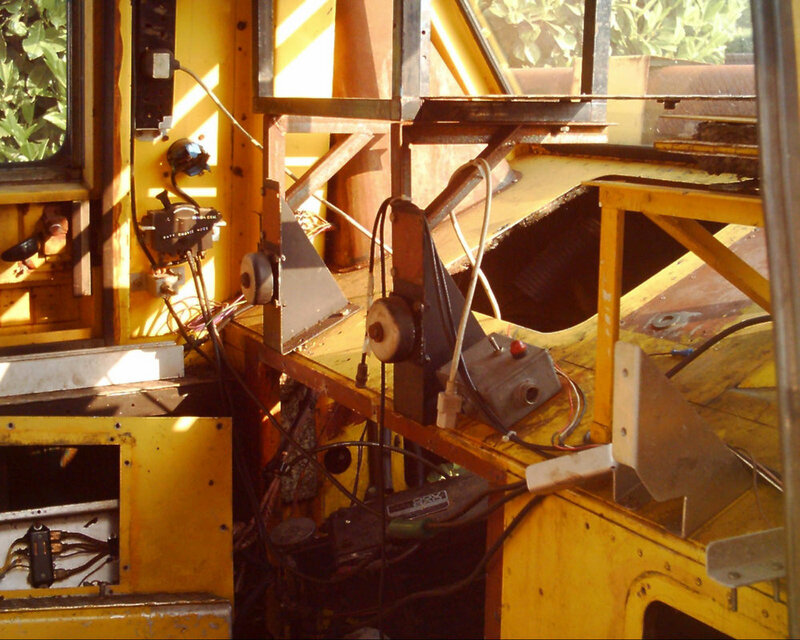 Not intended as a production vehicle, just used to conduct trials on new ideas. I am sure someone had more info on this. Perhaps it wasn't what they expected. Not the same without the rolls royce engine anyway! Pop a chunky lump back in... paint it up NATO green, put some brakes on it, probably from a lorry and get it all functioning again. Would definitely turn some heads at the shows. Ah yes. here's the picture. 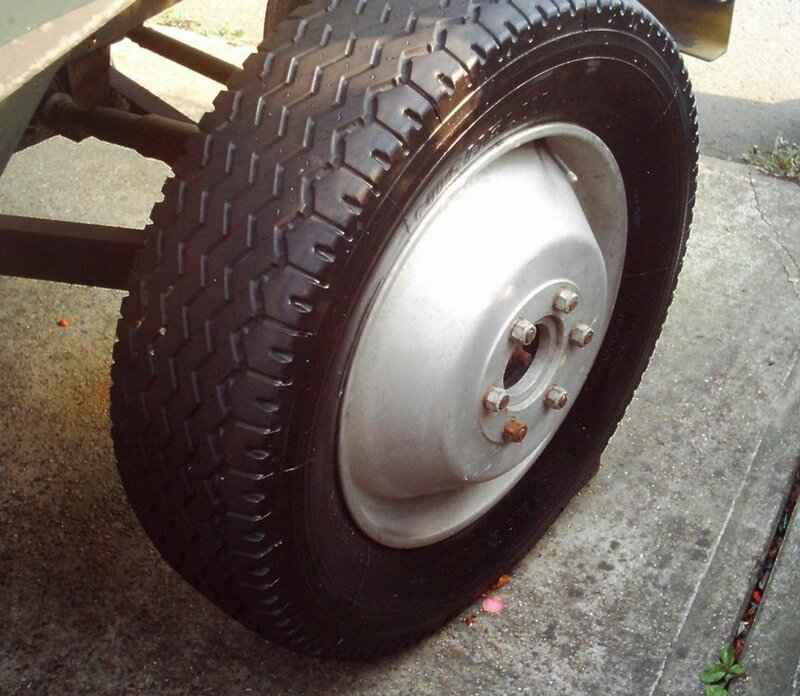 Looks like it should have bigger tires but there is a bump stop about an inc and a half above the rear tires. Looks a tad like the aircraft tugs. Perhaps that is why it was reasonably low and could raise up high? The suspension arms are under the canvas cover. Hello all, I have just joined your group so I can reply to this topic. I realise it is over 10 years since the thread was started but better late than never. I bought the SRV1 in 2008 or thereabouts via Ebay, and had a vague intention to restore it but life got in the way and I had to sell it on in a hurry as I emigrated for a few years. Every once in a while since I returned I have searched on the net for any info on the current whereabouts, as the chap I sold it to ( details lost when I emigrated ) intended to restore it for a museum - which is where it ought to be in my opinion. I saved it, but was unable to fulfil my ambition. The chap took it on a trailer back to Yorkshire and that is the last I heard. I will write some more on this in a day or two, as I have a good deal of paperwork - original MOD project intentions etc from 1970, and information graciously supplied by Portsmouth Aviation, which I am sure would be of great interest to enthusiasts from a historical perspective. The wheels for instance are complete one-offs for this vehicle, no doubt manufactured at great expense, as was the rest of the vehicle. Now that I have finally found a home for the information - where it can be appreciated - here, hopefully more may come to light and I hope that the SRV/1 does finally get to be displayed somewhere for all to appreciate the interesting engineering and ideas behind it. Here is a sampler of when it was on my drive - complete with happy cat who liked to sit inside ! More to follow soon. Graham.